The Free Meditation Music MP3s is a project I recently launched and today I am delighted to add a new track to our collection, DreamScape Music MP3. I think this is an excellent piece for relaxation and inspiration, and I would like to thank Chris Mullet for providing this MP3 to our free collection. Chris runs the great site Silencio Music, which offers an excellent collection of music for meditation, yoga, relaxation and stress-relief. He has also set up a special discount code “AnmolMehta10”, which will give you all a 10% discount on any purchase from his store. 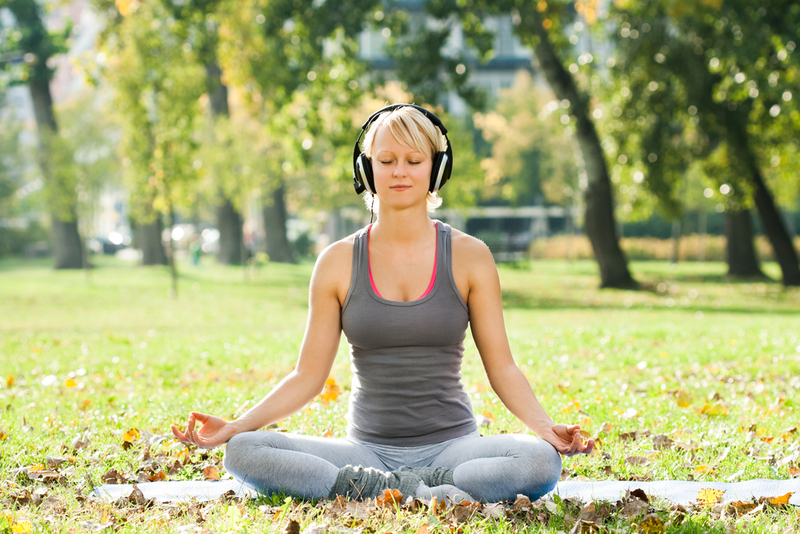 Meditation Music can be great for relaxing and stress reduction. It can also be used as music therapy for self healing and, of course, can be very inspiring as it directs your mind and heart towards the sublime. Below are some ways in which to use this MP3 to enhance your life and practice. Good meditation music can also help you deal with insomnia, as it helps soothe the nervous system and clam the mind. So, if you are having trouble sleeping, this particular MP3 can be very useful. Just play the MP3, then lie back, close your eyes, forget all your worries and anxieties and let yourself relax completely. The piece is called Dreamscape after all, so allow it to carry you into restful sleep . This music, combined with Simple Yogic Breathing or Ujjayi Pranayama (Can’t Sleep? – Ujjayi Pranayama to Cure Insomnia) can be a potent combination for fighting any insomnia. 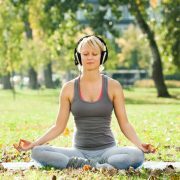 Another great application for meditation music, is to use it at the end of your yoga session during the relaxation phase. Anytime you do yoga, specially Kundalini Yoga, it is important to have a period of relaxation at the end of the session to allow the body to integrate the energy. During this time you should dim the lights, play some meditation music, come into Corpse Pose (Corpse Pose for Relaxation and Stress Relief), let go and allow life to help heal and nourish you. In all the classes I teach I ensure we have such a period towards the end, and I always keep soft music handy for this phase. You will find all the music MP3s currently available on Mastery of Meditation and Yoga listed on the following page, Free Meditation Music Downloads. Coming soon, I will be providing more music for meditation and also music for yoga. If you are a musician and would like to help us expand our collection, please go ahead and email me at anmol@anmolmehta.com. Once again, thanks to Chris for providing this great mp3 for meditation, and do visit his site, Silencio Music, to check out the other great tracks he has there. Also, don’t forget to use the discount code “AnmolMehta10” to get your 10% off. You will find another great mp3 to download free for meditation and yoga in the following article: Free Downloadable Meditation Music for Relaxation | Gayatri MP3. Thanks for free music meditation. Thanks you very Much. It is indeed a great stuff. Pls remain blissed. Thanks Again. You are great.Man is here and man is there but great man is vere rear. Thank you for giving these MP3 files free of charge. Thank you so much for providing this….. I am so happy and grateful now!!! Thank you very much. . . Excellent. Thanks very much for the free download. Much appreciated. I like it that you offer so much and ask for nothing.